Question 1. Why is diffusion insufficient to meet the oxygen requirements of multicellular organisms like humans? Question 2. What criteria do we use to decide whether something is alive? Question 3. What are outside raw materials used for by an organism? Question 4. What processes would you consider essential for maintaining life? Take a potted plant with variegated leaves – for example, money plant or crotons. Keep the plant in a dark room for three days so that all the starch gets used up. Now keep the plant in sunlight for about six hours. Pluck a leaf from the plant. Mark the green areas in it and trace them on a sheet of paper. Dip the leaf in boiling water for a few minutes. After this, immerse it in a beaker containing alcohol. Carefully place the above beaker in a water-bath and heat till the alcohol begins to boil. Question 1. What happens to the colour of the leaf? What is the colour of the solution? Now dip the leaf in a dilute solution of iodine for a few minutes. Take out the leaf and rinse off the iodine solution. 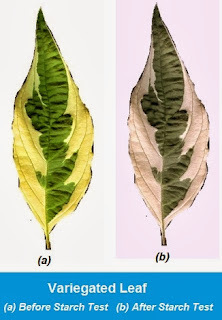 Observe the colour of the leaf and compare this with the tracing of the leaf done in the beginning . Question 2. What can you conclude about the presence of starch in various areas of the leaf? Take two healthy potted plants which are nearly the same size. Keep them in a dark room for three days. Now place each plant on separate glass plates. 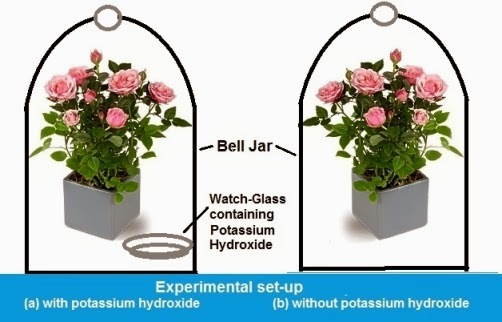 Place a watch-glass containing potassium hydroxide by the side of one of the plants. The potassium hydroxide is used to absorb carbon dioxide. 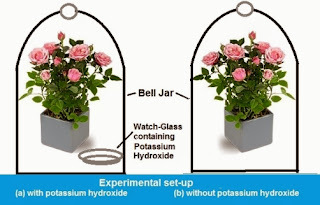 Cover both plants with separate bell-jars as shown in Fig. .
Use Vaseline to seal the bottom of the jars to the glass plates so that the set-up is air-tight. Keep the plants in sunlight for about two hours. Pluck a leaf from each plant and check for the presence of starch as in the above activity. Question 1. Do both the leaves show the presence of the same amount of starch? Answer. No, both the leaves do not show the presence of the same amount of starch, because in photosynthesis starch is produced using sun light, chlorophyll and CO2. In first set up availability of CO2 will be less for making starch by the plant leaves, as potassium hydroxide (KOH ) absorb the CO2. In second plant setup, the leaves will have more amount of starch. Question 2. What can you conclude from this activity? Question 1. In which test tube do you observe a colour change? Answer. We will observe a colour change in test tube B, showing presence of starch. Where as test tube A will show no colour change as due to addition of saliva, starch is converted into sugar. Question 2. What does this indicate about the presence or absence of starch in the two test tubes? Answer. It indicates that test tube A does not contain starch where as test tube B does contain starch. Question 3. What does this tell us about the action of saliva on starch? Question 1. What are the differences between autotrophic nutrition and heterotrophic nutrition? Autotrophic nutrition : It involves the intake of simple inorganic materials from the environment and using an external energy source like the Sun to synthesize complex high-energy organic material. Here organisms like green plants prepare their own food by CO2 and water in presence of chlorophyll. Heterotrophic nutrition : It involves the intake of complex material prepared by other organisms. Here organisms like human or animals do not prepare their own food but depend on others for their food. Question 2. Where do plants get each of the raw materials required for photosynthesis? Water : Plants first absorb water water from soil through root hairs and transport it to leaves through fine network of capillaries. Question 3. What is the role of the acid in our stomach? Question 4. What is the function of digestive enzymes? Answer. The foods consumed by human being are very complex in nature and can not be utilized directly for our energy requirement. The digestive enzymes in our stomach help in breaking down and synthesise these complex products into simpler usable products, which can be readily absorbed by walls of small intestine for energy requirement. Question 5. How is the small intestine designed to absorb digested food? Answer.The digested food coming from the stomach is taken up by the walls of the intestine. The walls of the small intestine contain glands which secrete intestinal juice. The enzymes present in it finally convert the proteins to amino acids, complex carbohydrates into glucose and fats into fatty acids and glycerol. The inner lining of the small intestine has numerous finger-like projections called villi which increase the surface area for absorption. The villi are richly supplied with blood vessels which take the absorbed food to each and every cell of the body, where it is utilised for obtaining energy, building up new tissues and the repair of old tissues. Question 1. Note how long it takes for the lime water to turn milky. ? Answer. When we blow air through mouth, the lime water in test tube turns milky with in no time. Question 2. Note how long it takes for this lime water to turn milky. Answer. 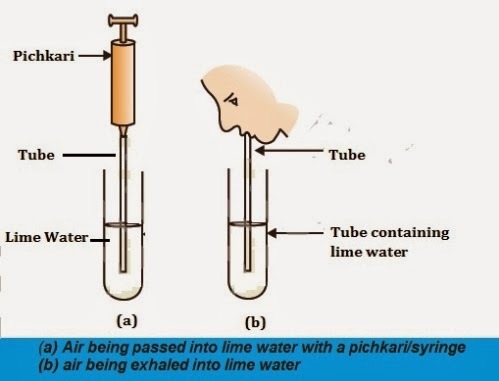 When we use syringe or pichkari, to pass air through the lime solution, it takes much time and effort to turn the lime water milky. Question 3. What does this tell us about the amount of carbon dioxide in the air that we breathe out ? Answer. This indicates that the amount of carbon dioxide in the air that we breathe out is much more as compared to normal air outside. Question 1. What change is observed in the lime water and how long does it take for this change to occur? Answer. The lime water becomes milky as carbon dioxide is produced by mixing yeast in sugar along with alcohol. Time taken for this change to occur, should be observed by students themselves. Question 2. What does this tell us about the products of fermentation? Answer.The products of fermentation are alcohol and carbon dioxide. Question 1. Observe fish in an aquarium. They open and close their mouths and the gill-slits (or the operculum which covers the gill-slits) behind their eyes also open and close. Are the timings of the opening and closing of the mouth and gill-slits coordinated in some manner? Answer. Yes, the timings of the opening and closing of the mouth and gill-slits are coordinated. They open and close alternatively. Question 2. Count the number of times the fish opens and closes its mouth in a minute. Answer. This varies from fish to fish, size and state of activities under taken by fish. Students are advised to observe themselves. Question 2. Compare this to the number of times you breathe in and out in a minute. Question 1. What advantage over an aquatic organism does a terrestrial organism have with regard to obtaining oxygen for respiration? Question 2. What are the different ways in which glucose is oxidised to provide energy in various organisms? Answer. First step of break-down of glucose, a six-carbon molecule, takes place in the cytoplasm of cells of all organisms. This process results into a three-carbon molecule called pyruvate. Aerobic respiration : In aerobic respiration, breakdown of pyruvate takes place in presence of oxygen to give rise of three molecules of carbon dioxide and water. The release of energy in aerobic respiration is much more than anaerobic respiration. Lack of oxygen : Sometimes, when there is lack of oxygen, especially during vigours activity, in our muscles, pyruvate is converted into lactic acid which is also a three-carbon molecule. This build-up of lactic acid in our muscles during sudden activity causes cramps. Question 3. How is oxygen and carbon dioxide transported in human beings? (b) Transportation of carbon dioxide : Carbon dioxide is more soluble in water than oxygen is and hence is mostly transported from body tissues in the dissolved form in our blood plasma to lugs where it diffuses from blood to air in the lungs and then exhaled out through mouth and nose. Question 4. How are the lungs designed in human beings to maximise the area for exchange of gases? Answer. In the lungs, the wind pipe divides into smaller and smaller tubes, called bronchi, which in turn form bronchioles. 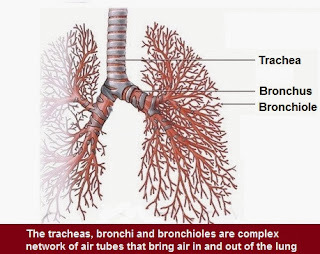 The bronchioles, which finally terminate in balloon-like structures , called alveoli. The alveoli provide a enlarged surface where the exchange of gases can take place. The walls of the alveoli are very thin and contain an extensive network of blood-vessels to facilitate exchange of gases. Question 1. Visit a health centre in your locality and find out what is the normal range of haemoglobin content in human beings. Answer. The normal range of haemoglobin content in human beings is 13.8 to 17.2 gram per deci litre in men and 12.1 to 15.1 gram per deci litre in women. Question 2. Is it the same for children and adults? Question 3. Is there any difference in the haemoglobin levels for men and women? Question 4. Visit a veterinary clinic in your locality. Find out what is the normal range of haemoglobin content in an animal like the buffalo or cow. Question 5. Is this content different in calves, male and female animals? Answer. Yes, haemoglobin content in calves is higher than male and female animals. Question 6. Compare the difference seen in male and female human beings and animals. Question 7. How would the difference, if any, be explained? Answer. We know transportation of Oxygen in human and animals take place due to respiratory pigment haemoglobin which is present in the red blood corpuscles and has a very high affinity for oxygen. Adult men do more work than women and children. Thus to meet the energy requrement, more oxygen is needed and in turn more haemoglobin contents. Due to requirement of varried level of oxygen for executing different types of work, the haemoglobin contents in human being are comparatively more than that of animals. Question 1. Do you observe any difference in the two cases? Answer. Yes, We can see water droplets in the plastic sheet covering the pot with plant. These water droplets are formed due to condensation of water vapour released by the plant out of transpiration. While, there is no water drops in other pot which has stick. Question 1. What are the components of the transport system in human beings? What are the functions of these components? Answer. The components of the transport system in human beings are heart, blood and blood vessels.In multi-cellular organisms, various body parts have specialised in the functions they perform. The components of the transport system help in carrying food and oxygen from one place to another in the body. Heart : The heart is a muscular organ of the size of our fist, which acts like a pump to maintain the continuous supply of blood through out the body. It receive the deoxygenated blood from various parts of the body and pumps oxygenated blood throughout the body. Blood Vessels :Network of blood vessels in the form of Arteries and Veins help in the circulation of blood in the body. Arteries are the vessels which carry blood away from the heart to various organs of the body. Since the blood emerges from the heart under high pressure, the arteries have thick, elastic walls. Veins collect the blood from different organs and bring it back to the heart. They have thin walls because they carry back blood under low pressure and have valves to ensure the blood flow in one direction. Question 2. Why is it necessary to separate oxygenated and deoxygenated blood in mammals and birds? Answer. It is necessary to separate the oxygenated and deoxygenated blood to maintain efficient supply of oxygen into the body. This system is essential in animals that have high energy need. Mammals and birds require constant supply of oxygen to obtain energy. Question 3. What are the components of the transport system in highly organised plants? Answer. In highly differentiated plants, the components of the transport system are the vascular tissues which consists of xylem and phloem. The main function of these vascular tissues is transportation of water, minerals, food and other materials for plan survival. Xylem : It consists of vessels and tracheids. Xylem helps to transfer water and minerals form the soil to leaves. Phloem : It consists of sieve tubes and companion cell. Phloem helps to transport the products of metabolic processes, particularly photosynthesis from leaves to various part of the plant. This process is called translocation. Question 4. How are water and minerals transported in plants? Answer. water and minerals are transported in plants through a network of xylem tissue, vessels and tracheids of the roots, stems and leaves of plants. All these components are interconnected to form a continuous system of water-conducting channels reaching all parts of the plant. The root cells in contact with the soil, acquire ions from the soil. This creates a difference between concentration of ions of the root and the soil. This builds up fluid pressure at roots through osmosis, ensures steady movement of water into xylem, creating a column of water there. However, this osmotic pressure by itself is not enough to move water to various heights of plants. Plants use another strategy to move water in the xylem upwards to the highest points of the plant body. Due to transpiration, there is continuous loss of water in the form of vapour from the aerial parts of the plant such as stomata present in leaves. This creates an upward suction of fluids from the xylem cells of root below. Thus root pressure resulting from osmosis process below and water loss through transpiration above, jointly help in the transport of water and minerals in plants. Question 5. How is food transported in plants? Answer. Plants form their food from the products of metabolic processes, particularly photosynthesis. The prepared food from leaves is transported in plants through vascular tissue - phloem. to to other parts of the plant. This transport of soluble products of photosynthesis is called translocation. Besides the products of photosynthesis, the phloem transports amino acids and other substances. These substances are especially delivered to the storage organs of roots, fruits and seeds and to growing organs. The translocation of food and other substances takes place in the sieve tubes with the help of adjacent companion cells both in upward and downward directions. Translocation is a energy consuming process. Material like sucrose is transferred from leaf cells or from the site of storage into phloem tissue using energy from ATP. This increases the osmotic pressure of the tissue causing water from outside to move into the phloem. This pressure moves the material in the phloem to tissues which have less pressure. This allows the phloem to maintain the movement of material through all parts of plants, according to the plant’s needs. Question 1. Describe the structure and functioning of nephrons. The cup shaped structure is called Bowman's capsule. Every Bowman's capsule contains a cluster of very thin-walled blood capillaries, called glomerulus, within the cup-shaped structure. The blood eneters into glomerulus through afferent arteriole of renal artery and leaves it through efferent arteriole. Filteration : Filterartion of blood takes place in Bowman's capsule from the capillaries of glomerulus. The filtrate passes into the tubular part of the nephron. This filtrate contains glucose, amino acid, urea, uric acid, salts and a major amount of water. Reabsorption : As the filtrate flows along the tubule, useful substance such as glucose, amino acids, salts and water are selectively reabsorbed into blood by the capillaries surrounding the nephron tubule. The amount of water reabsorbed depends on demand by the body, and on the amount of dissolved waste to be excreted. Question 2. What are the methods used by plants to get rid of excretory products? Plants get rid of excess water by transpiration. Oxygen produced during photosynthesis is a waste product for plants and same is released into atmosphere. In the same way, CO2 produced during respiration is given out. Many waste products are stored in vacuoles of the cells. Plant cells have comparatively large vacuoles. Some waste products are stored in leaves. They are removed as the leaves fall of. Some waste products such as tannins,resins and gums are stored in old xylem and bark and are removed as pealed off. Question 3. How is the amount of urine produced regulated? The amount of excess water in the body : When the water is in excess in the body tissues, the large amount of dilute urine is excreted out. When water is less in the body tissues, a small quantity of concentrated urine is excreted. The amount of dissolved waste in the body : When the quantity of dissolved nitrogenous waste such as urea or uric acid is in excess in the body, more quantity of water is required to excrete them. So the amount of urine produced increases. Answer. d. all of the above. Question 5. How are fats digested in our bodies? Where does this process take place? Answer. The digestion of fats takes place in small intestine. Fats are present in the intestine in the form of large globules. The fat digesting enzymes are not able to act upon large globules efficiently. Small intestine receives the secretions of the liver and pancreas for this purpose. The food coming from the stomach is acidic and has to be made alkaline for the pancreatic enzymes to act. Bile juice from the liver accomplishes this in addition to acting on fats.Bile salts emulsify the large globules of fats and break them down into smaller globules. This increases the area of enzyme action and their efficiency. The pancreas secretes pancreatic juice which contains lipase enzyme for breaking down emulsified fats. The walls of the small intestine contain glands which secrete intestinal juice. The enzymes present in it finally convert the fats into fatty acids and glycerol. Question 6. What is the role of saliva in the digestion of food? Answer. (i) Saliva secreted by the salivary glands.The saliva contains an enzyme called Salivary Amylase that breaks down starch, which is a complex molecule to give sugar. (ii) The food moistened by slaiva, easily breaks down in smaller parts on chewing and is further mixed thoroughly by action of muscular tongue. This all helps in digestion of starch efficiently. Question 7. What are the necessary conditions for autotrophic nutrition and what are its byproducts? Question 8. What are the differences between aerobic and anaerobic respiration? Name some organisms that use the anaerobic mode of respiration. 2 In aerobic respiration complete oxidation of glucose takes place. 2. In anaerobic respiration complete oxidation of glucose does not takes place. 3. In aerobic respiration, end products are CO2, water and energy. 6H2O + 6CO2 + Energy (686 kcal) 3. In anaerobic respiration, end products are Ethyl alcohol(Lactic Acid), CO2 and little energy. 4. In aerobic respiration, a large amount of energy is produced. (38 ATP molecules per glucose molecule) 4. In anaerobic respiration, small amount of energy is produced. (ii) Organisms that use the anaerobic mode of respiration are yeast, bacteria and para-sites like tapeworm (Taenia), Ascaris. Question 9. How are the alveoli designed to maximise the exchange of gases? Answer. The alveoli have balloon-like structures , that provides an enlarged surface for the exchange of gases. The walls of the alveoli are very thin and contain an extensive network of blood-vessels to further facilitate exchange of gases between blood and air filled in alveoli. Question 10. What would be the consequences of a deficiency of haemoglobin in our bodies? Question 11. Describe double circulation in human beings. Why is it necessary? Answer. In human beings, blood goes through the heart twice during each cycle which means it passes throgh the heart chambers two times as it gets suppled to whole body once. Therefor it is called double circulation of blood. Systemic circulation : Oxygen-rich blood from the lungs first comes to the left atrium, from here it is transfered to left ventricle. From left ventricle, the blood is transfered to different parts of the body throgh network of arteries. The De-oxygenated blood comes from the body throgh veins to the right atrium. The right atrium transfers the blood into right ventricles. Pulmonary circulation : The deoxygenerated blood in right ventricles is pumped to the lungs for oxygenation. The oxygenerated blood is brought back to the left atrium. From left atrium, it is transfered to left ventricle again and then pumped into aorata to resumes systemic circulation. Necessity of double circulation : The separation of the right side and the left side of the heart is useful to keep oxygenated and deoxygenated blood from mixing. Such separation of oxygenated and deoxygenated blood, allows a highly efficient supply of oxygen to the body. This is useful in human beings and animals that have high and constant need of energy to maintain their body temperature. Question 12. What are the differences between the transport of materials in xylem and phloem? 1. Xylem helps in tranportation of water and dissolved mineral from roots to leaves and other part. 1. Phloem helps in tranprtation of prepared food material from leaves to other parts of plant in dissloved form. 2. In xylem, the transport of material takes place through vessels and tracheids which are dead tissues. 2. In phloem, transport of material takes place through seive tubes with the help of companion cells, which are living cells. 3. In xylem, upward movement of water and dissolved minerals is mainly achieved due to osmatic pressure at roots along with transpiration in which suction is created by evaporation of water from the surface of leaf. 3. 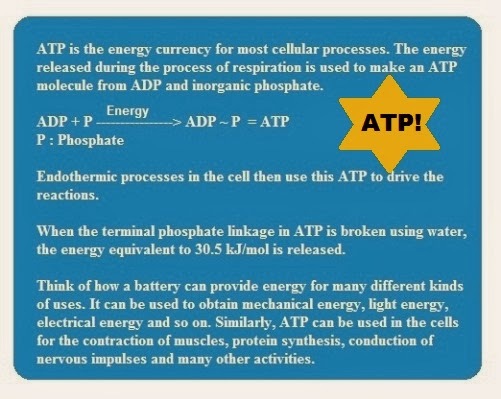 In translocation, material is transfered into phloem tissue using energy from ATP. This increases the osmotic pressure that moves the material in the phloem to the tissues which have less pressure. Question 13. Compare the functioning of alveoli in the lungs and nephrons in the kidneys with respect to their structure and functioning. 2. The walls of the alveoli contain an extensive network of thin walled blood-vessels i.e. capillaries like smaller tubes for exchange of gases. 2. Bowman's capsule is supplied with cluster of capillaries, called glomerulus for filtration. A network of blood vessels is present around the tubular part of nephron for reabsorption of useful products and water. 3. Alveoli increases surface area for diffusion of carbon dioxide from blood to air and Oxygen from air to blood 3. Nephrons also increases the surface area for filtration of blood and reabsorption of useful products and water from filtrate leaving behind urine. 4. 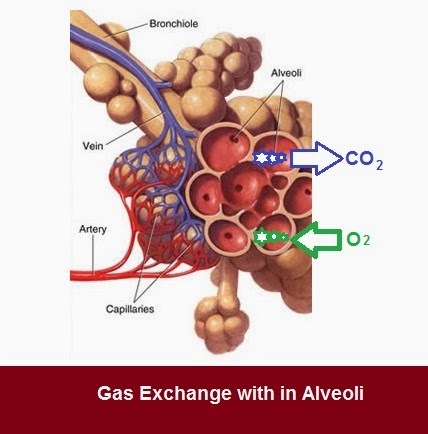 Alveoli only provide surface for exchange of gases in the lungs. 4. Tubular part of nephron also carries the urine to collecting duct. 5. 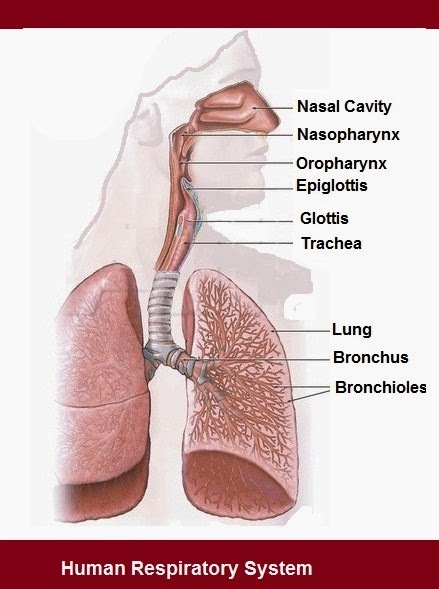 Alveoli are very small and a large number of them are present in each lung. 5. 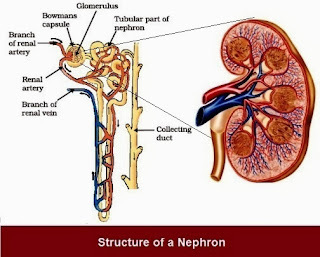 Nephrons, as basic filtration units, are packed close together and are present in large number, in each kidney.